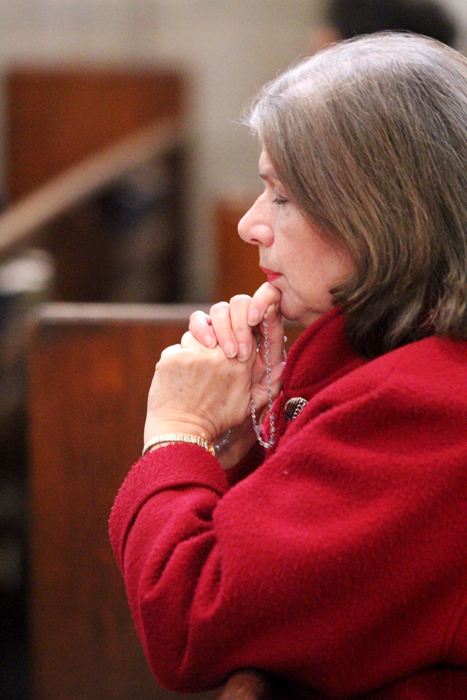 Marianne Reynolds prays the rosary before Mass. 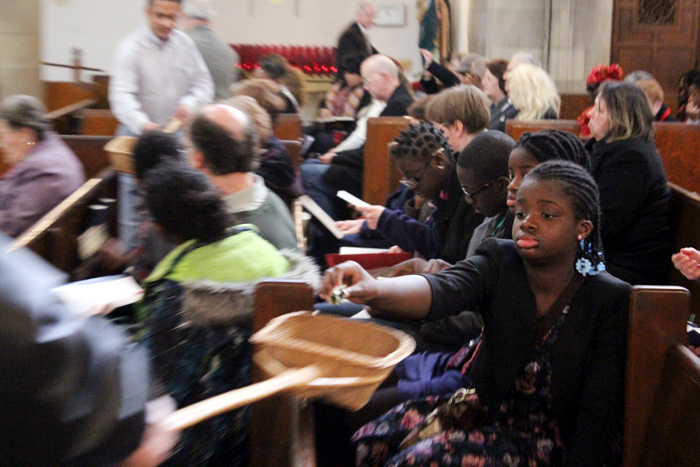 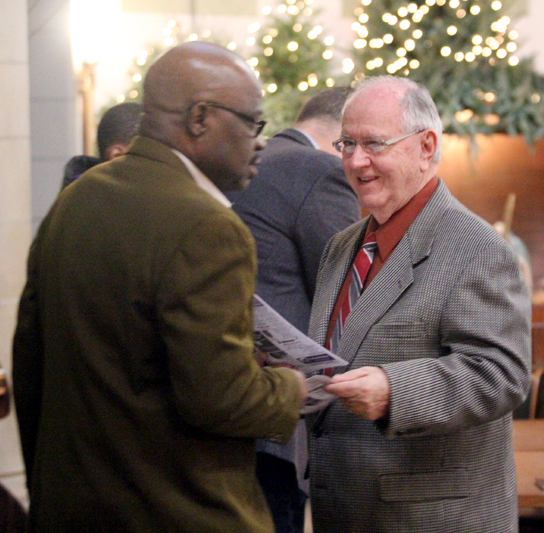 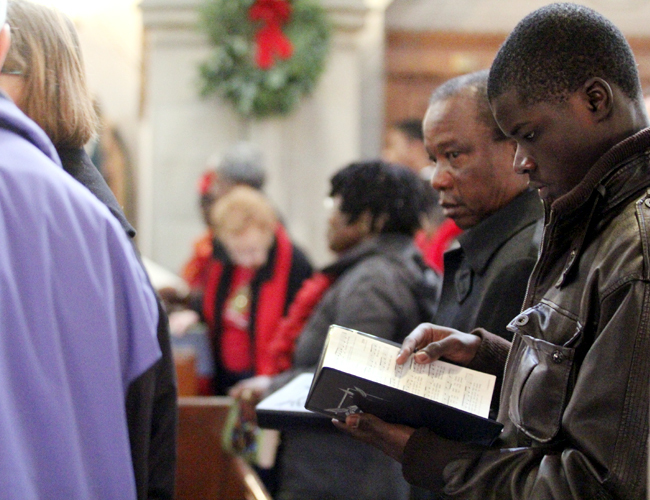 Geno Lioy, right, greets parishioners and hands out church bulletins. 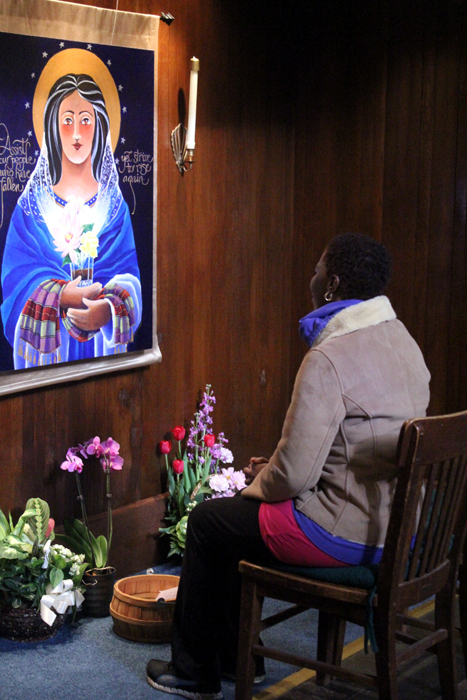 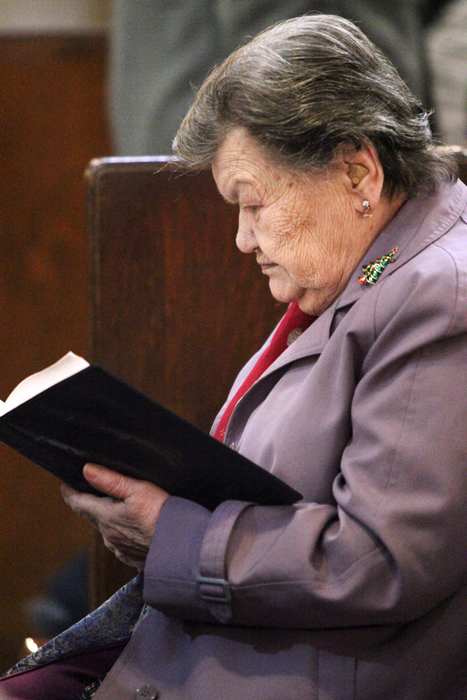 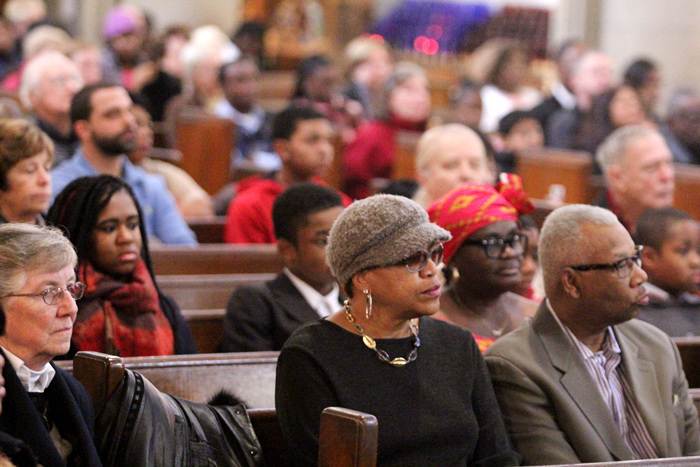 Pam Jackson prays at the shrine to Our Lady of Light at the church. 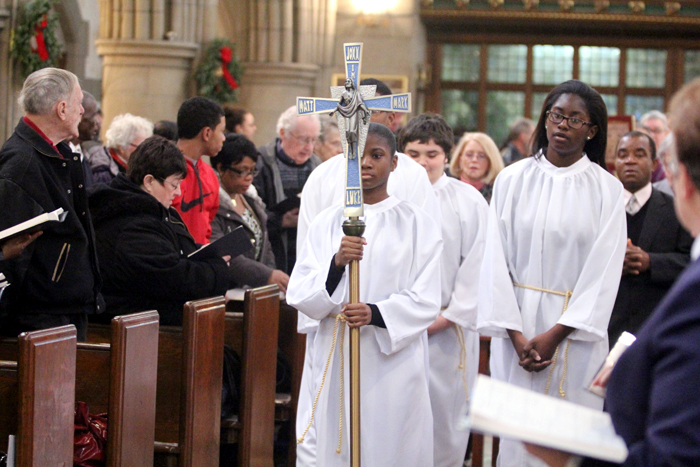 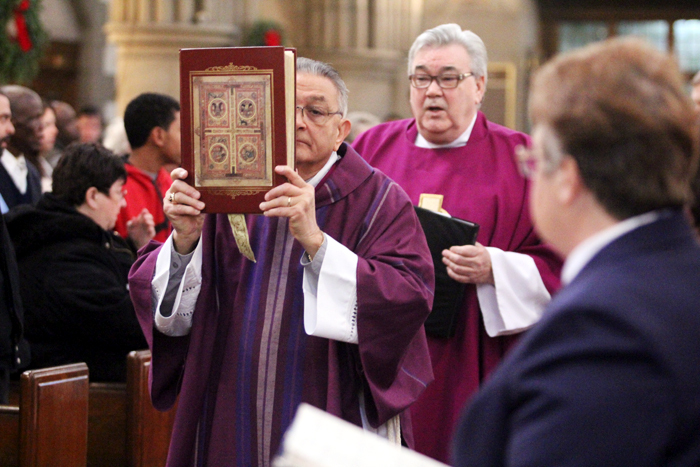 Deacon Charles Amen (left) carries the Book of Gospels in the opening procession, followed by B.V.M. 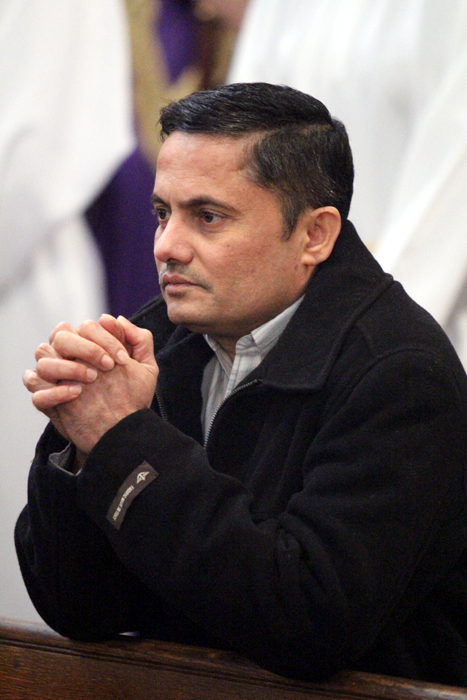 Parish’s pastor, Father Joseph Corley. 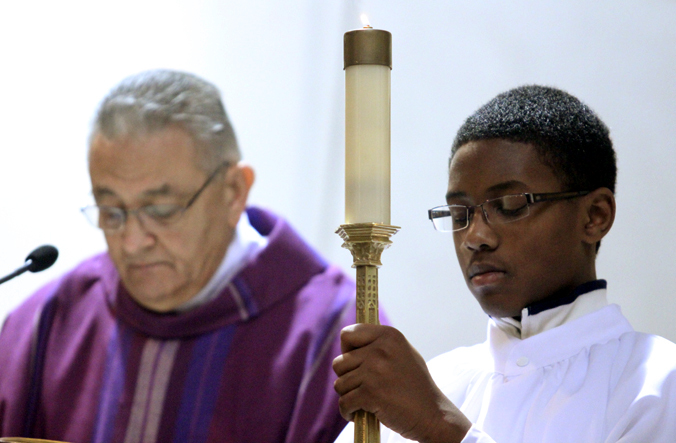 Alexander Leonard (right) follows the Mass with his missalette. 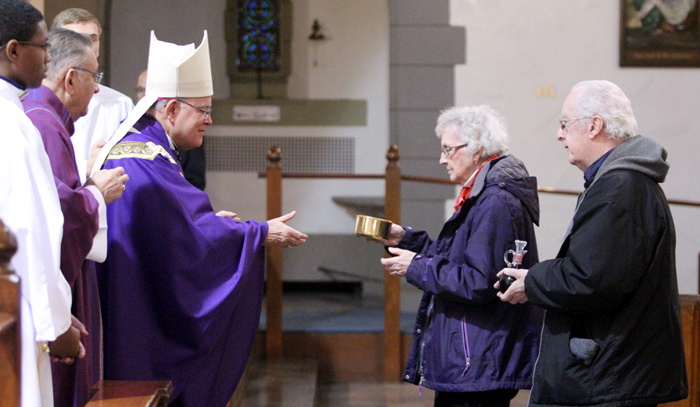 Brandi Juwle makes her contribution to the parish collection. 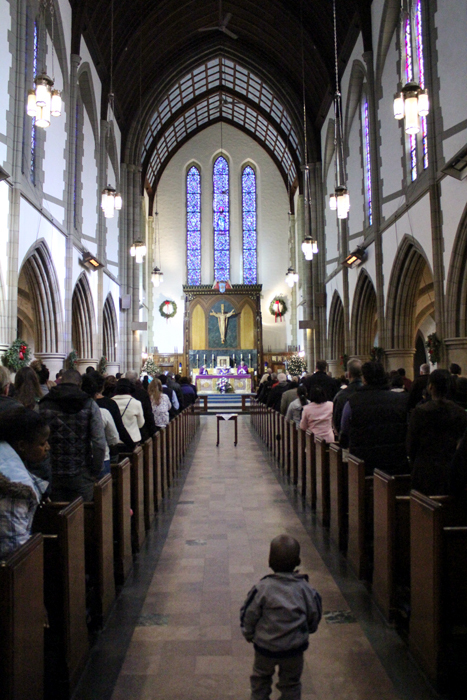 Geoffrey Serao prays during Mass. 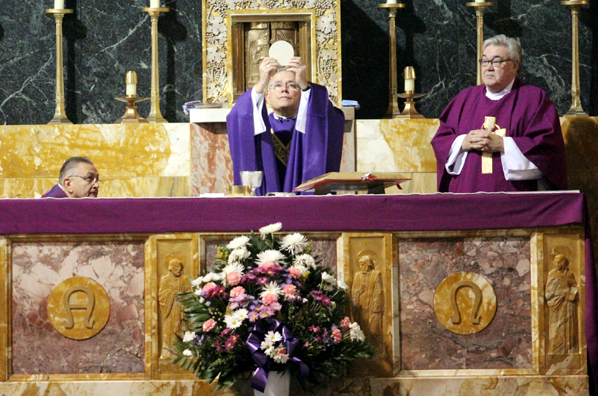 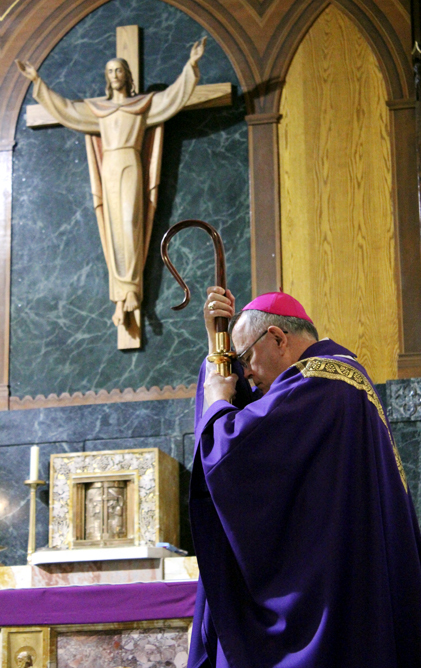 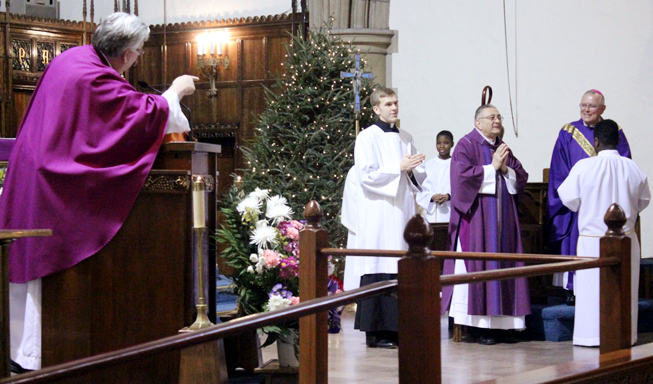 Archbishop Chaput consecrates the Eucharist as Father Corley (right) concelebrates and Deacon Amen assists. 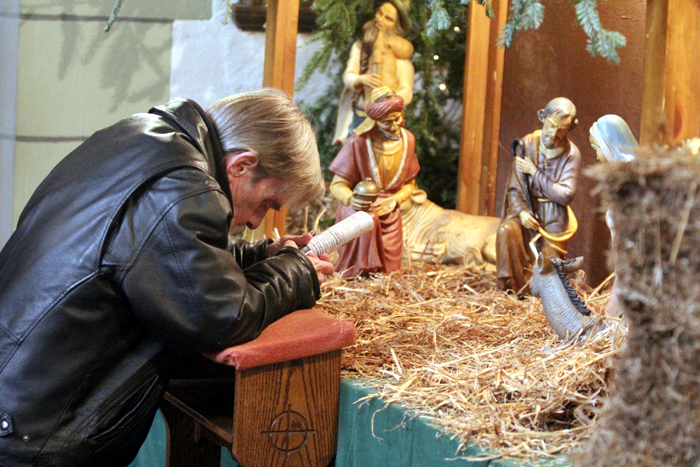 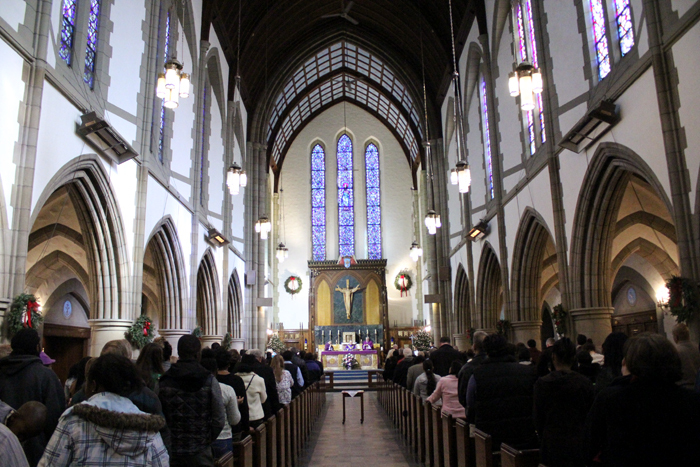 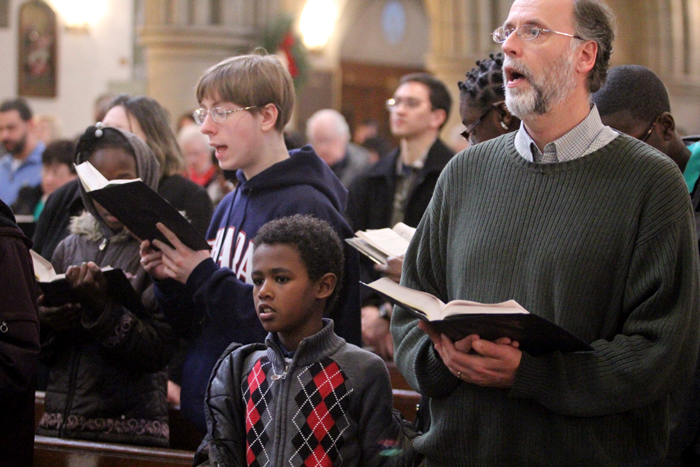 Kenneth Christian says a silent prayer before the Nativity scene at the church.